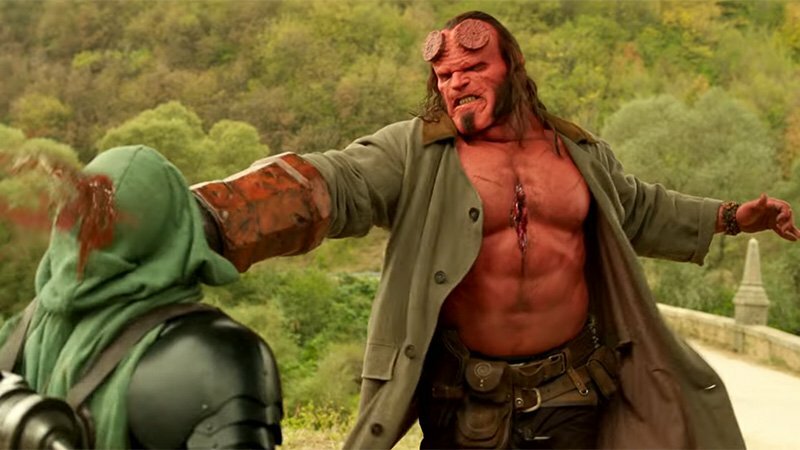 There’s only a week left until the long-awaited reboot of superhero franchise Hellboy hits theaters and Lionsgate has debuted a new red band teaser. Truly the film did not shy away from its R-rating with strong bloody violence, gore, and language throughout. The trailer is also our first look as well at Thomas Haden Church’s Lobster Johnson, which can be viewed in the player below! 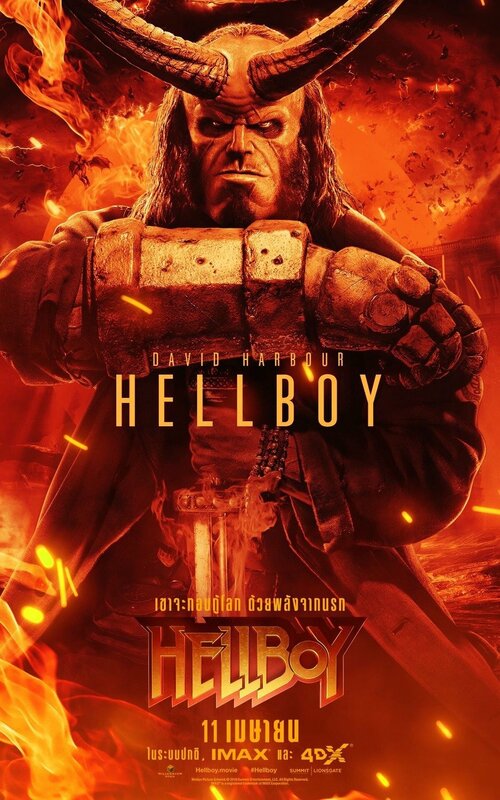 Stranger Things actor David Harbour stars as the title character and will be joined by Ian McShane (Deadwood, American Gods) who plays Hellboy’s adoptive father, Professor Trevor Bruttenholm (aka Professor Broom). Milla Jovovich (The Fifth Element, Resident Evil franchise) also co-stars as the villain Nimue aka the Blood Queen, Sasha Lane (American Honey) will play Alice Monaghan, Penelope Mitchell (Hemlock Grove) will play the elder witch Ganeida, and Daniel Dae Kim (Hawaii Five-0, LOST) is playing Major Ben Daimio.